Speaking to the world using small antennas for £150! Ask any new Ham what they hope to achieve and they will probably tell you that they want to talk to the other side of the world. Well, DMR may just be the cost effective way to do it. 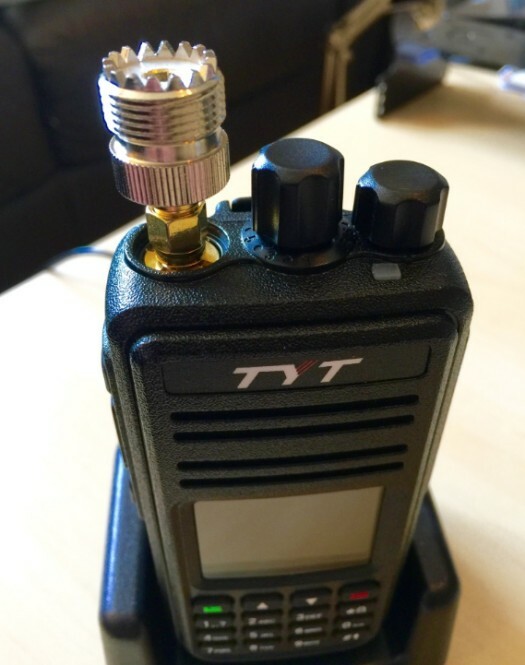 DMR is an up-and-coming Digital Voice mode for radio hams. It works on the principle of part-RF and part-Internet. You only have to worry about the RF part. Over 40 countries are running DMR. The majority of DMR repeaters in the UK are on 70cm which gives the added bonus to Hams of employing nice small antennas. 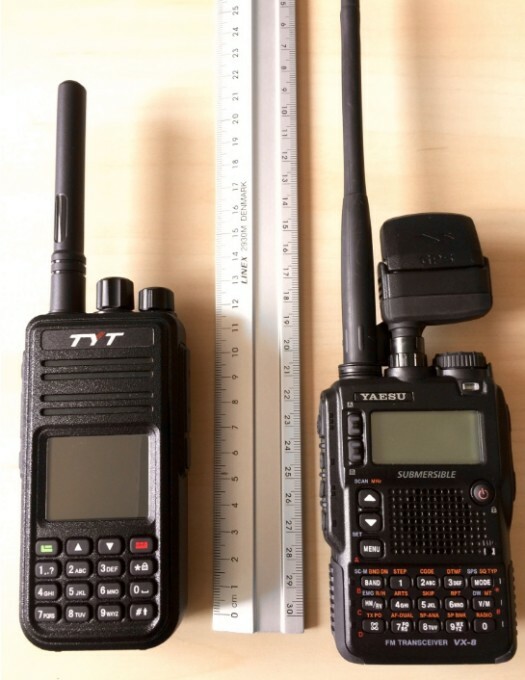 DMR repeaters are different to analogue repeaters in that they allow two conversations at the same time using a system called TDMA. Imagine two QSO’s being chopped into very small bits and being interleaved. Then peeled apart at the other end. Programming the radio is not dissimilar to programming a Baofeng or other radio using CHIRP. It is more in-depth however and there is a learning curve – but plenty of help is available locally and online. Once you have your head around it you are flying. The file that you upload into the radio is called a ‘Codeplug’. This name was coined by Motorola, as DMR is based on a commercial system and the terminology came with it. The codeplug contains a wealth of information that the radio needs to be able to access your local repeater and pull in QSO’s from around the world. Your radio requires an ID number which is very easy to obtain. Simply go to http://dmr-marc.net/cgi-bin/trbo-database/register.cgi and make yourself aware of the rules regarding ID’s before getting one. It’s free and you don’t need to upload a copy of your licence. The ID number needs to be programmed in using a computer and the easily downloadable software. But once that is done, you can front program any new repeaters on an ad-hoc basis if you so wish. Personally I prefer the benefit of a big screen. It was released for sale in late May 2015 and was an immediate hit. It is manufactured in China by a company called Tytera. Ironically one of the other suppliers of DMR repeaters and radios is called Hytera, go figure. The price of the unit varied widely upon release. It was available as cheap as £135 and as much as £225. However the £160 price bracket is very common and our very own Charlie M0PZT may start supplying them through hamgoodies.co.uk a little cheaper and pre-programmed for the Essex repeaters. I was struck, upon unboxing, at the build quality. It is solidly constructed and feels substantial in the hand. All this without being unwieldy or brick-like. Examination of the connectors show a standard Kenwood/Baofeng sized 3.5mm and 2.5mm set of audio sockets. However the mic that I bought for my Baofeng did not work with the radio. Tytera have their own microphones available and I suspect it may be best to stick with theirs. The speaker is loud and punchy. Transmitted audio has been reported upon as being clear and well-balanced. The colour screen measures 45mm diagonally. I have found it difficult to read in direct daylight, but at home or in the car it was perfectly good enough. The on screen font is a tad large for my preference, truncating the channel information. I have resorted to naming talkgroups using the repeater callsign followed by the convention of WW for world-wide, Euro for Europe, E for English and Loc for Local. Hence Talkgroup 13 is shown on my screen as GB7EX WWE13. It just about fits. Maybe in future firmware releases there will be a scrolling system. It would certainly be appreciated. The top of the radio has the standard male SMA (a la Yaesu) connector with adequate clearance if you choose to employ and SMA to SO239 adaptor. To the right of this is the channel selector knob consisting of 16 positions. Further to the right are the integrated volume/on-off rotary control. Movement of both dials are smooth and solid. The supplied battery was a 7.2v 1700mAh Li-ion, although some suppliers are shipping 2000mAh. Note, most suppliers are not putting a programming cable in the box. Make sure you obtain one, it might cost you a few pounds extra. You cannot use a Baofeng programming cable as the serial interface chip is contained in the radio and not the USB cable. Comparison against normal analogue VHF/UHF, D-Star and HF have all left me in no doubt that DMR provides the best audio quality. Whilst it’s true that there is a certain amount of ‘Dalek-isation’ of audio, it is not as bad as D-Star. There is no hiss, no pops, no static, no QRM due to auto/home electrics. The audio is clear and uncanny. It has taken me a while to get my head around the fact that there is no ‘kerch’ upon de-keying. In fact when you are having a QSO, it catches you out when others de-key and the radio just goes quiet. It is a welcome relief when people verbally hand over as they finish their over. The 5 watt transmitter is adequate, but if you live in fringe areas you may find the use of an external antenna to be an necessity. I live in an apartment and have fitted a 70cm slim jim on the window ledge. There is also a low-power 1 watt setting but unless you live in the repeater keepers shed, I suspect you won’t use it much. Want to use the radio on your local 70cm analogue repeater? Well, you can do that too without any trouble at all. The radio is capable of holding channel information for both systems in the same codeplug, so with a couple of button presses you can be going back to the world of click and hiss. CTCSS options are all there. 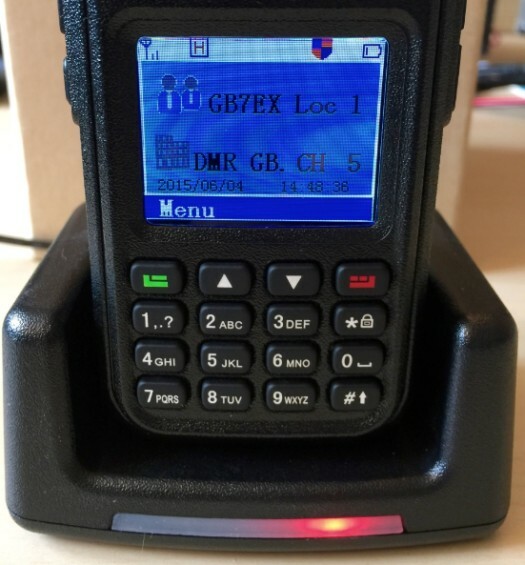 An interesting option on the MD-380 is the ability to send a text message to others on DMR. 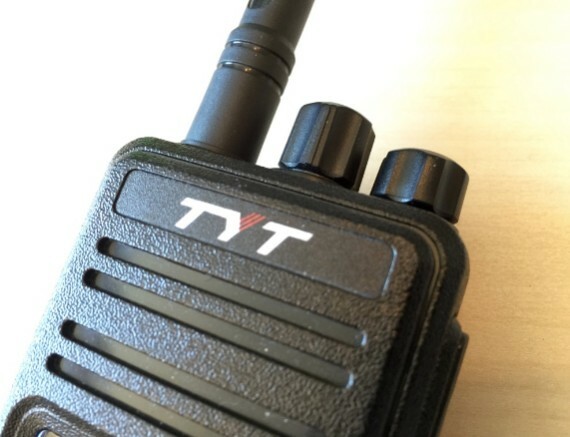 Frequency range: 400-480MHz, a VHF version is available but there are very few VHF repeaters in the UK. I’ll make no secret of the fact that I fell in love with this radio as soon as I started playing with it. My first QSO, using the rubber duck antenna was with a Maltese station. That sort of international chat is quite addictive. Of course, you have the local talkgroups on your repeaters too, so no need to worry about nattering and upsetting those around the globe. I’m very happy with the build quality and sound quality. The operating system is pretty intuitive but does have some annoying quirks. The screen is not brilliant in direct light, but how many radios boast that they have Kindle quality screens? The LED’s on the drop in charger are a little too bright, overwhelmingly so if your shack happens to include the bed. In conclusion, buy one, join the radio revolution at a reasonable price.